Baked dough, extra virgin olive oil, fresh garlic, aged parmesan, parsley. 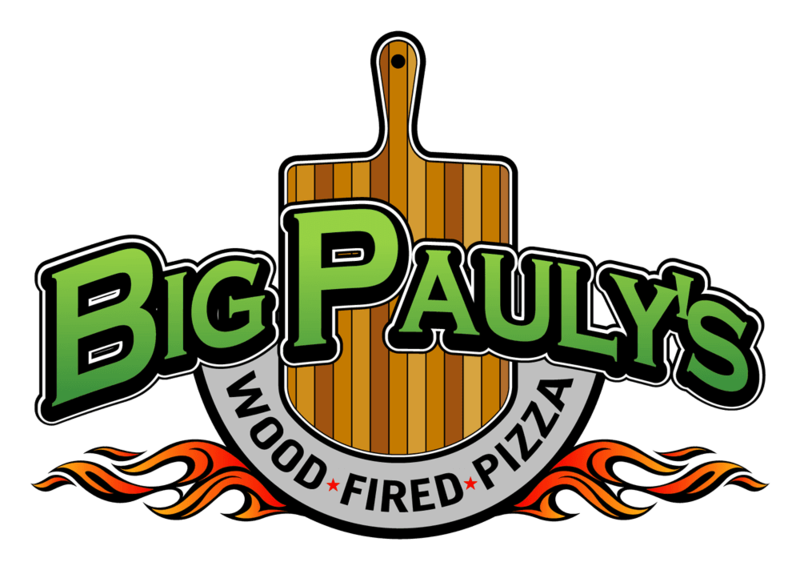 Served with Big Pauly’s marinara. Garlic toast points, vine ripe plum tomatoes, fresh garlic, fresh basil, extra virgin olive oil, homemade balsamic vinaigrette. Hearts of romaine, pecorino romano, asiago, aged parmesan, garlic croutons, creamy Caesar dressing. Seasoned chicken breast available for add-on. Fior di latte, vine ripe plum tomatoes, fresh basil, roasted peppers, homemade basil vinaigrette. Hearts of romaine, seasoned chicken breast, red onions, cherry tomatoes, applewood smoked bacon, ditalini pasta, homemade creamy Italian dressing. Mixed greens, fior di latte, cherry tomatoes, red onions and garlic croutons. Choose from house, bleu cheese or ranch. Seasoned chicken breast available for add-on. Mixed pasta, five-cheese cream sauce, Italian bread crumbs, applewood smoked bacon. Wood-roasted Italian sausage, sweet peppers and onions, ciabatta. Bucatini pasta, Big Pauly’s marinara, wood-roasted meatballs, pecorino romano.